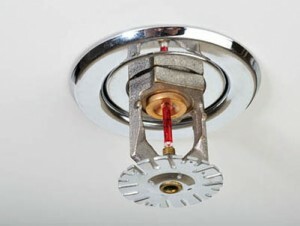 Sprinklers are often considered the first line of defense in a fire protection program, and for good reason. 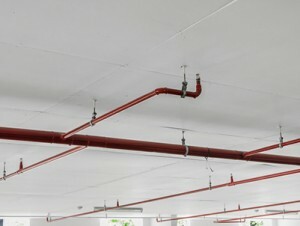 A well-maintained sprinkler system provides your building with a quick-trigger response to smoke or fire, and recent advancements in technology have made this fire protection system even more effective. However, a system that hasn’t been well maintained could easily be problematic. You may think that since your building had a sprinkler system installed in the past that you’re all set – but nothing could be further from the truth. These systems have plenty of moving parts, parts which require regular maintenance like any other system in order to stay in prime working condition. 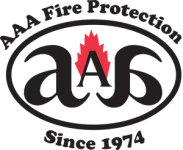 At AAA Fire Protection Services, we excel at assessing systems that are already in place and making recommendations for maintenance or upgrades to provide you the insurance you need against a large and invasive fire. Our single-source solution for sprinkler service and upgrades means you can be comfortable knowing that our premiere customer service is supporting your business every step of the way. Each organization and situation is unique, and our team has been successfully supporting business sprinkler needs for more than 40 years. We work directly with your general contractor, plumbers and electricians to ensure that all recommendations are completely up to state and local building codes and fit within the overall building maintenance strategy. We begin with a careful survey of the current fire protection strategies in your building, and our experts look for gaps in coverage that could be problematic in the future. Our experienced specialists then document every detail of your system, providing you with a schematic that includes accurate measurements and compliance recommendations. Have questions about the status of your current business sprinkler system? Contact the professionals at AAA Fire Protection Services today at 855-788-7807 or fill out our online form to receive a free initial estimate.